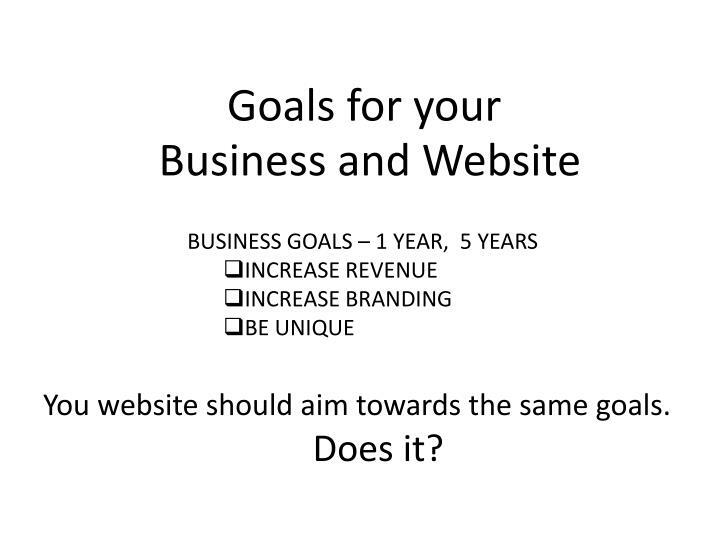 You website should aim towards the same goals. 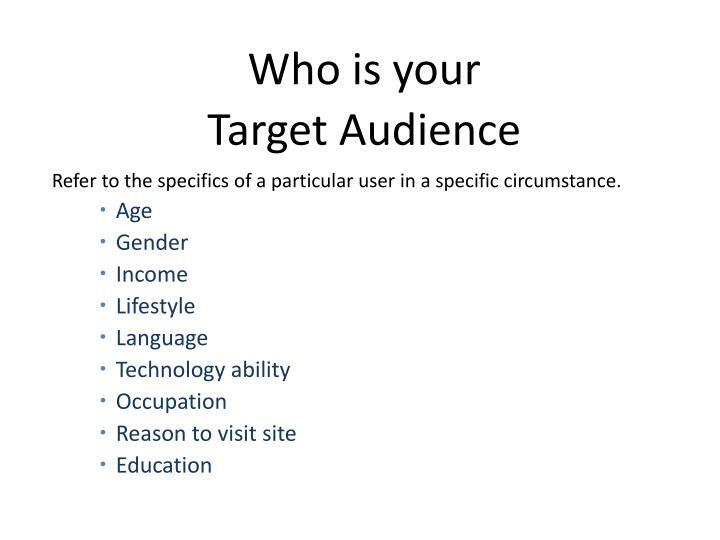 Refer to the specifics of a particular user in a specific circumstance. 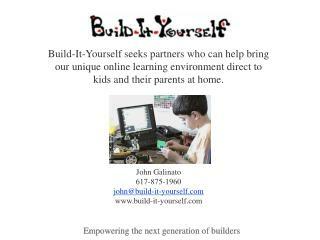 Finds you via Search Engines, printed material, etc. 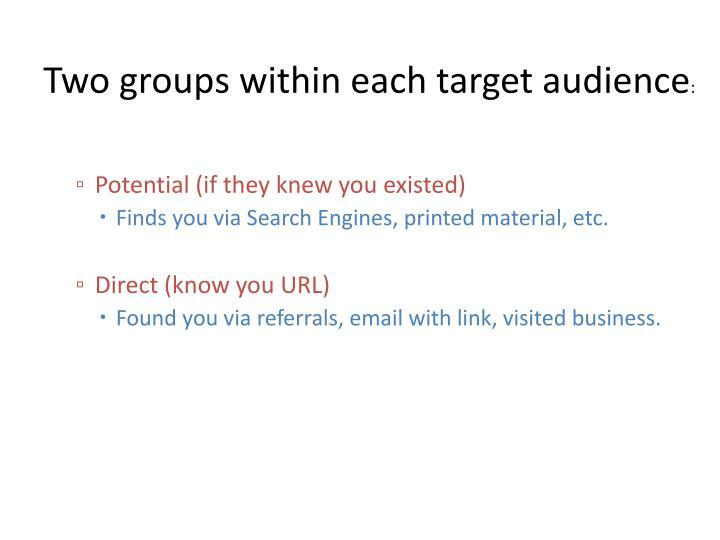 Found you via referrals, email with link, visited business. 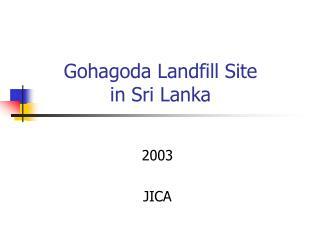 Change at the minimum of every three months – images and /or content. 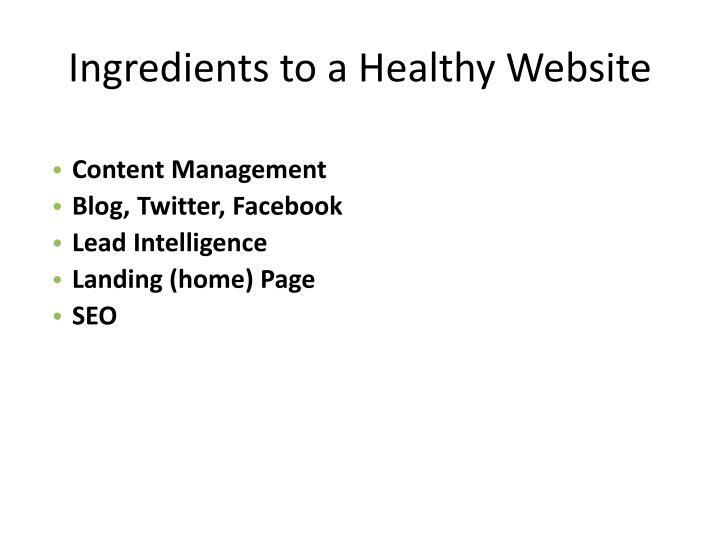 When changing update with keywords relevant to the page. 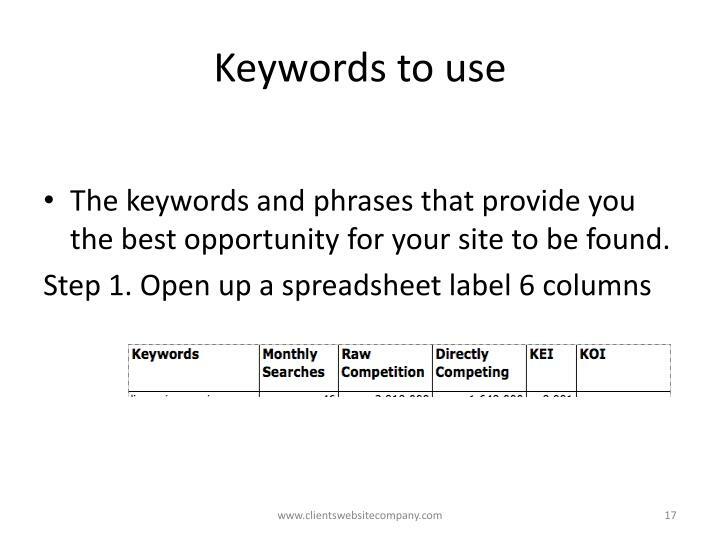 Use a KEYWORDtool to find ones that fit your business. 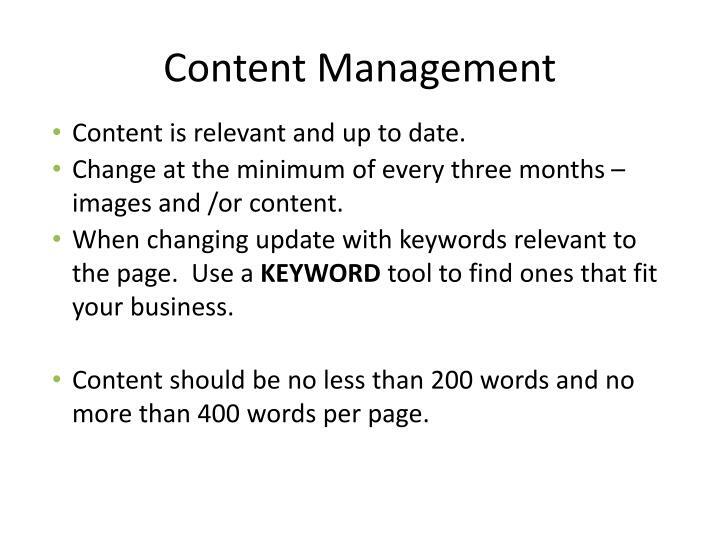 Content should be no less than 200 words and no more than 400 words per page. Use short forms to capture information. 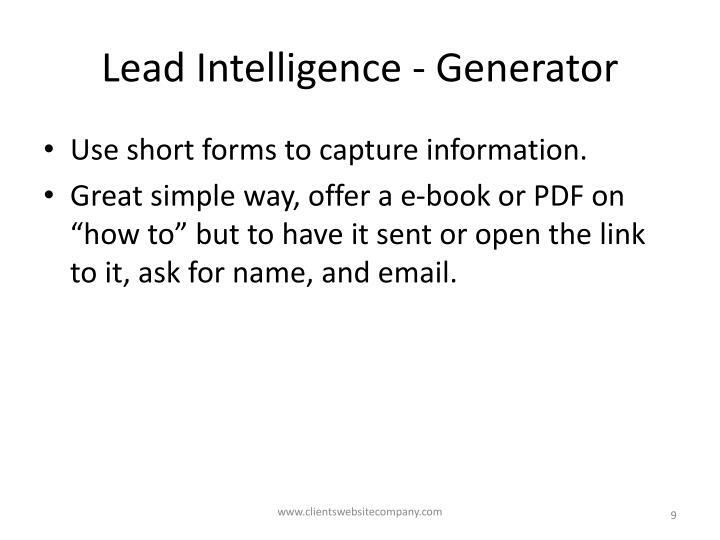 Great simple way, offer a e-book or PDF on “how to” but to have it sent or open the link to it, ask for name, and email. 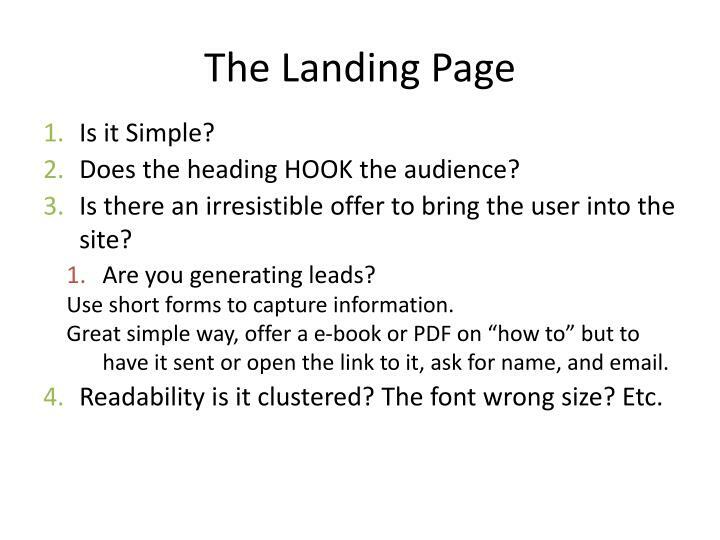 Does the heading HOOK the audience? 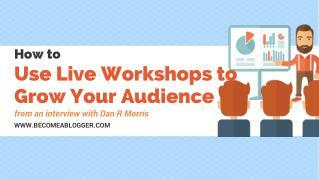 Is there an irresistible offer to bring the user into the site? 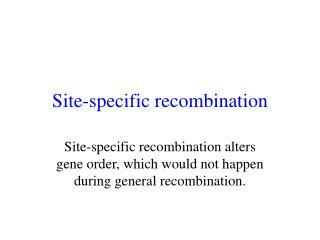 Readability is it clustered? The font wrong size? Etc. 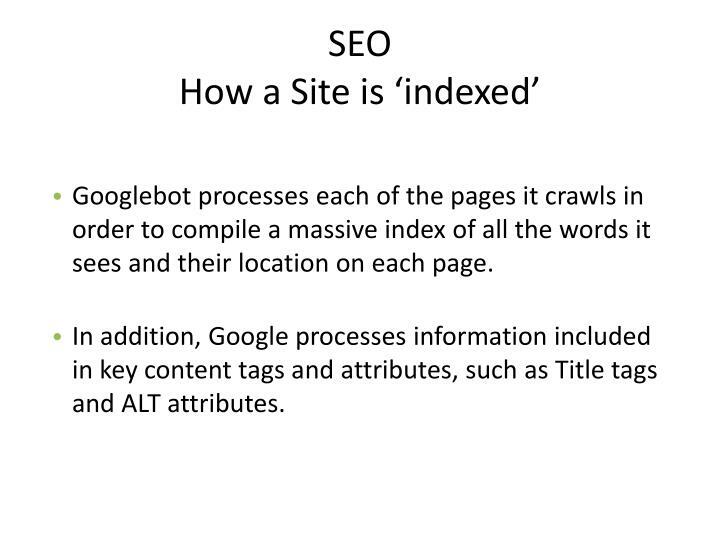 Googlebot processes each of the pages it crawls in order to compile a massive index of all the words it sees and their location on each page. 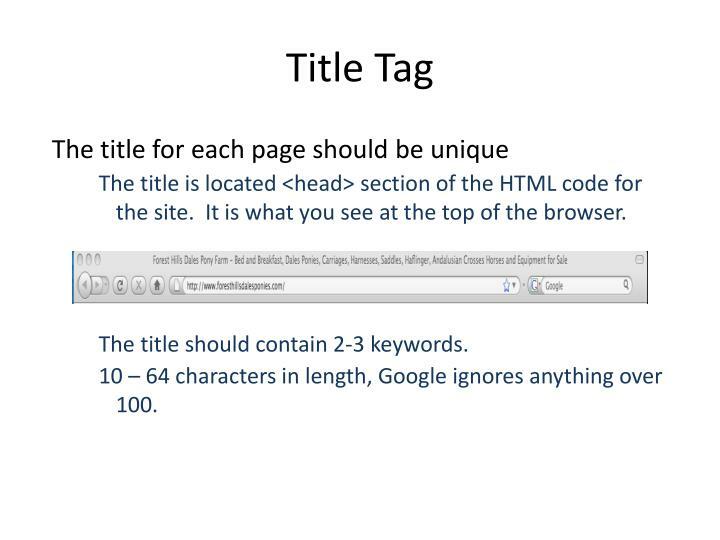 In addition, Google processes information included in key content tags and attributes, such as Title tags and ALT attributes. 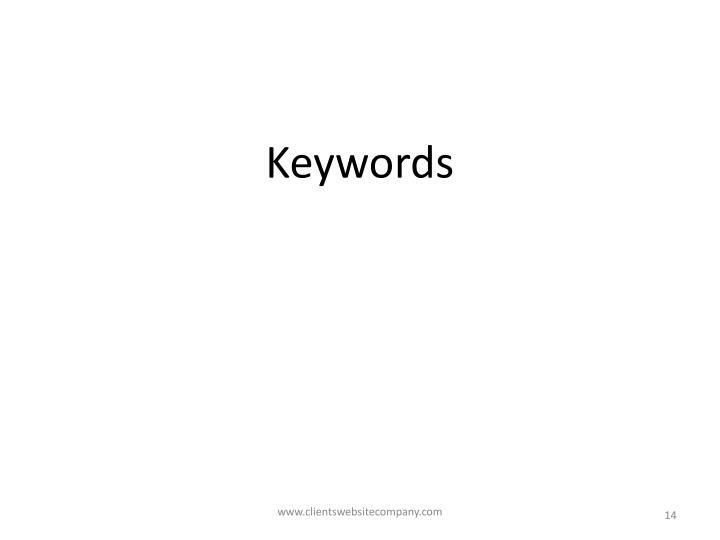 Keywords are what a person would type in a search engine such as Google or Yahoo. 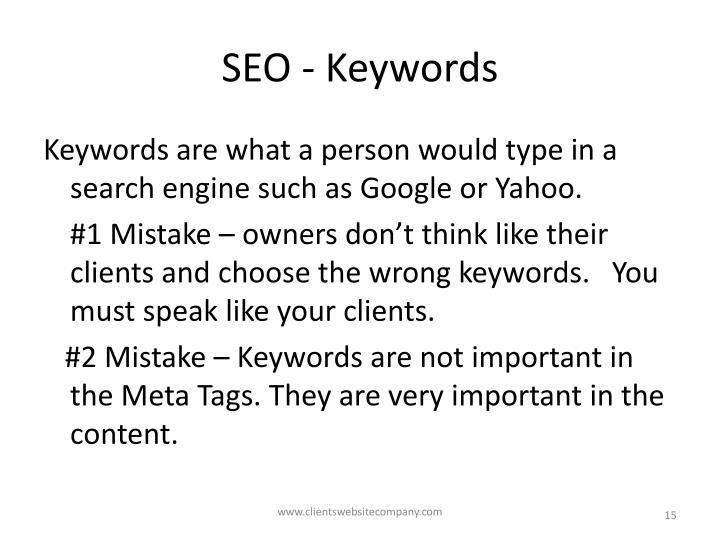 #1 Mistake – owners don’t think like their clients and choose the wrong keywords. You must speak like your clients. 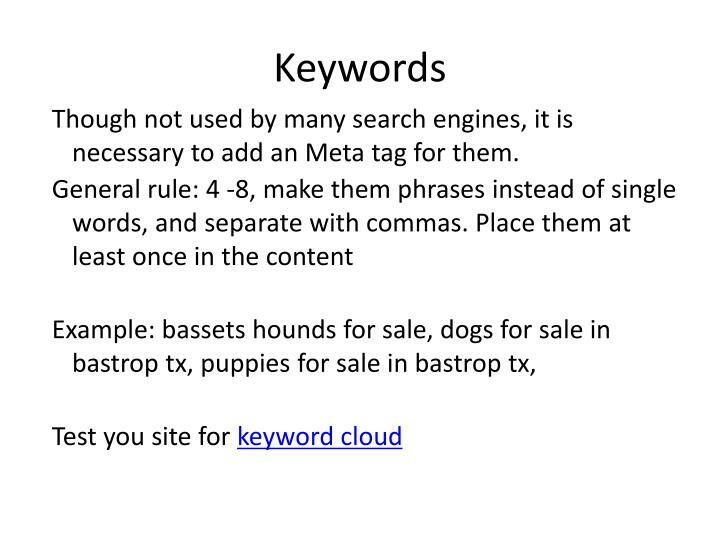 #2 Mistake – Keywords are not important in the Meta Tags. 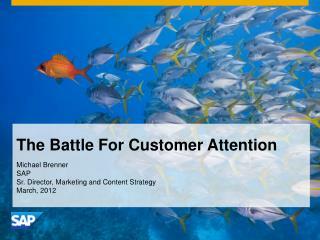 They are very important in the content. 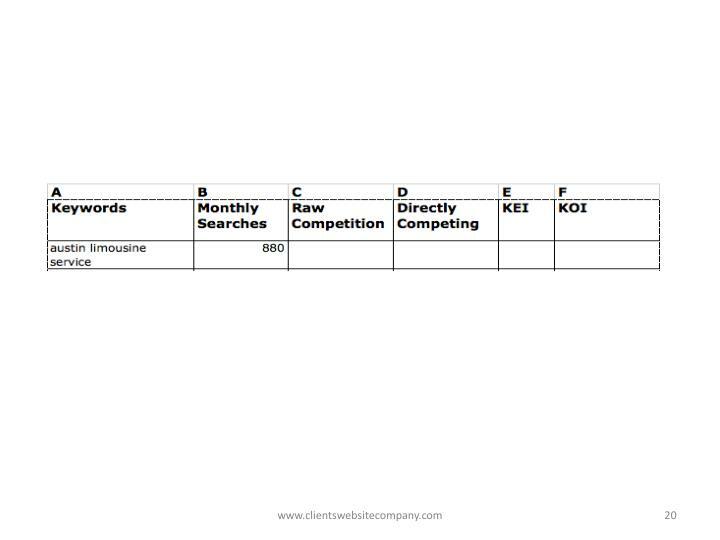 Find most commonly used keywords. 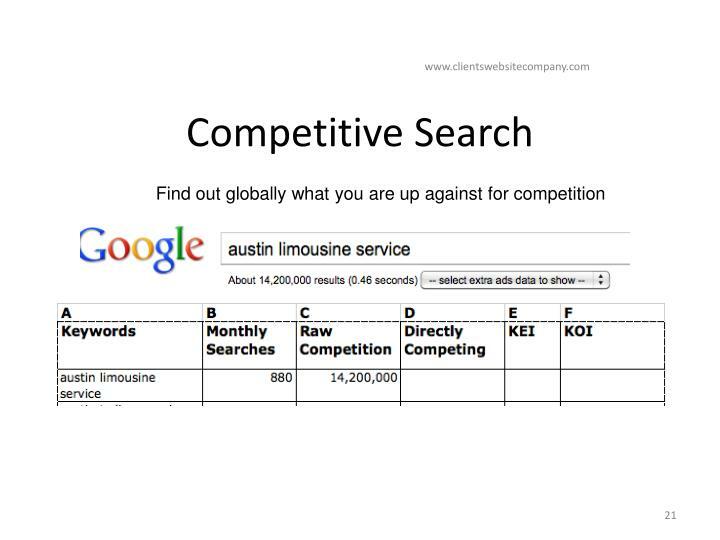 Learn what competitors are using for keywords. 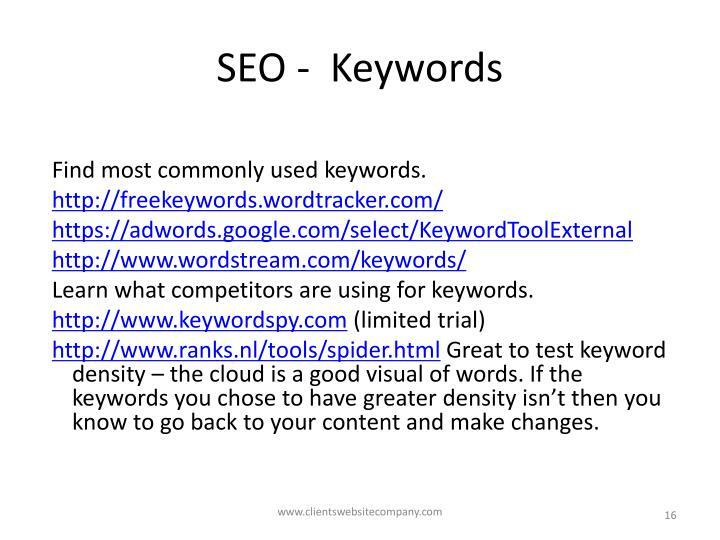 http://www.ranks.nl/tools/spider.html Great to test keyword density – the cloud is a good visual of words. 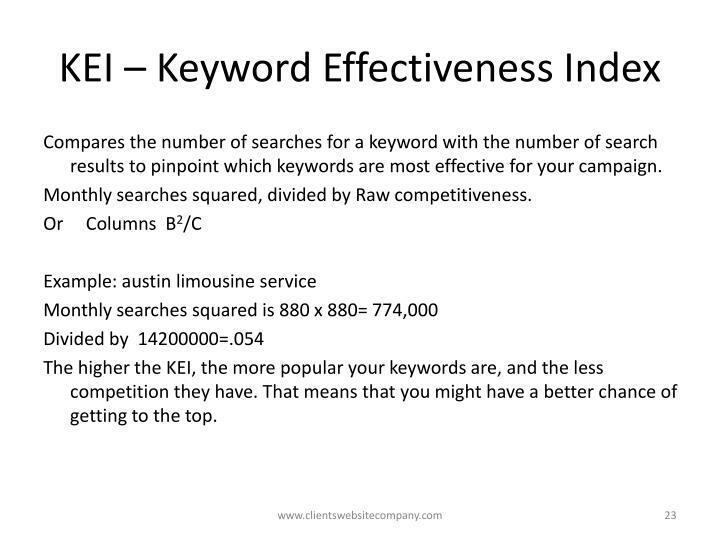 If the keywords you chose to have greater density isn’t then you know to go back to your content and make changes. 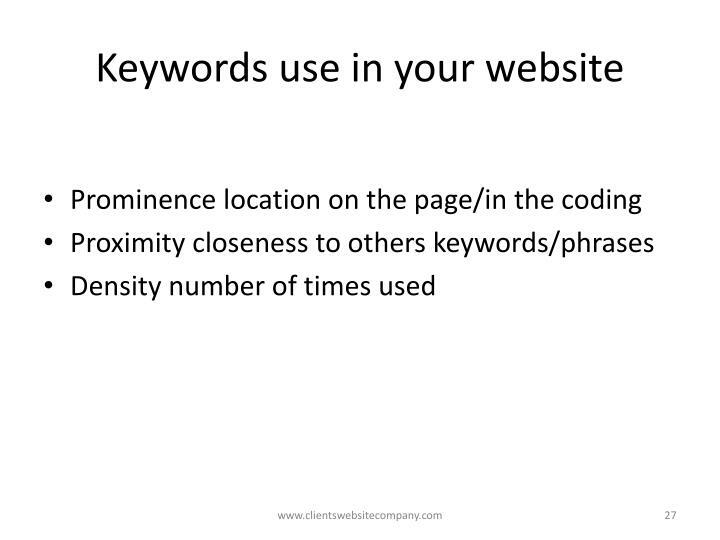 The keywords and phrases that provide you the best opportunity for your site to be found. 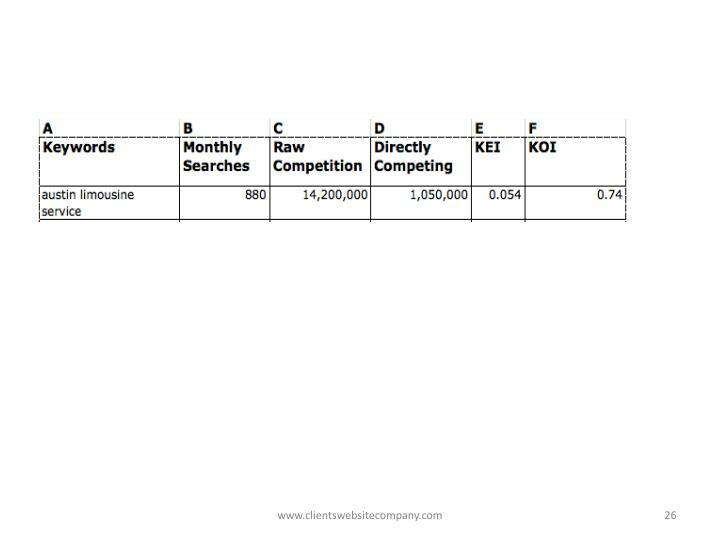 Compares the number of searches for a keyword with the number of search results to pinpoint which keywords are most effective for your campaign. 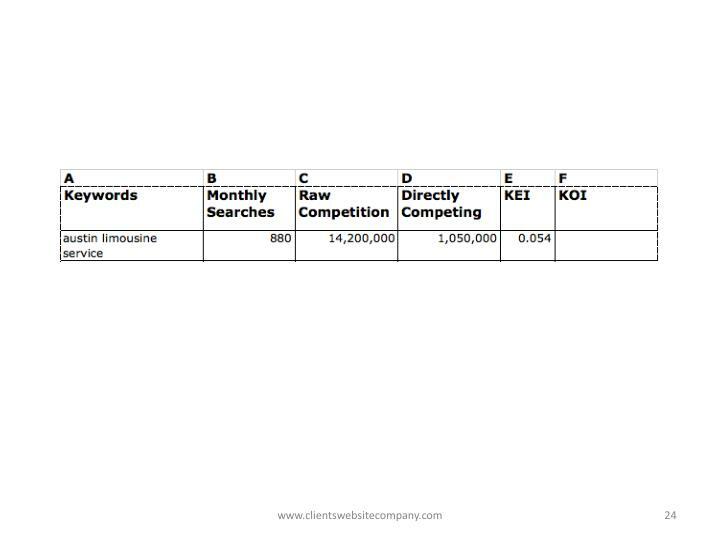 Monthly searches squared, divided by Raw competitiveness. 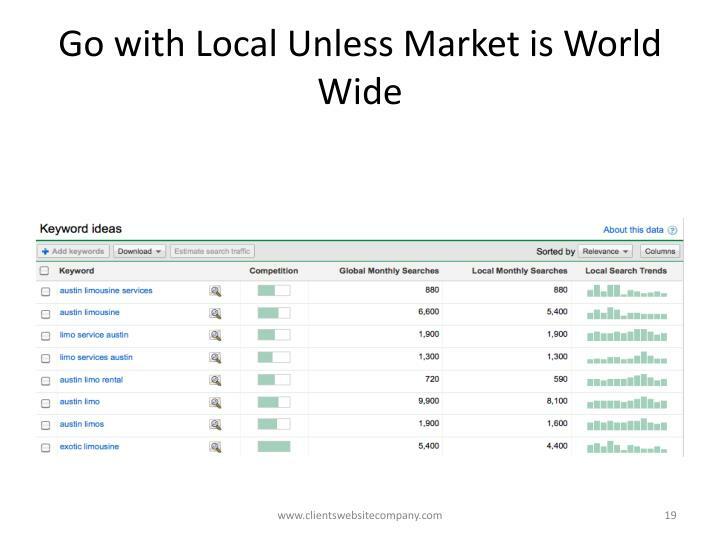 Takes into account the keywords popularity and the competition surrounding it. 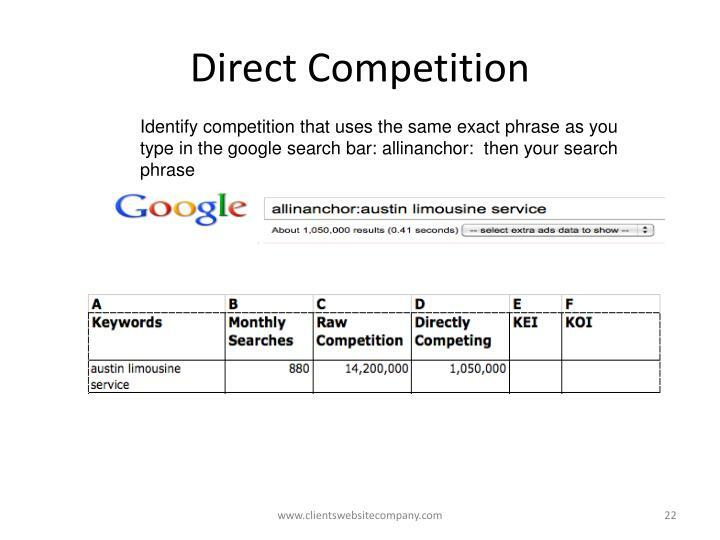 Monthly searches squared, divided by Direct Competition. 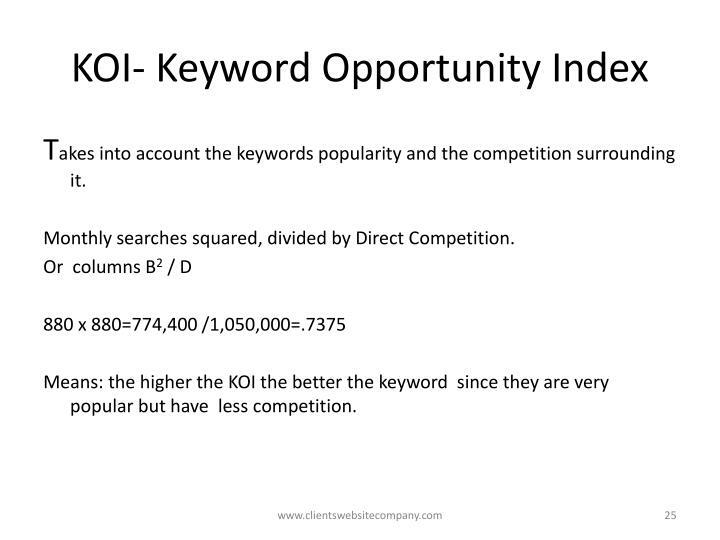 Means: the higher the KOI the better the keyword since they are very popular but have less competition. 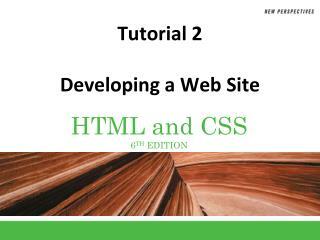 The title is located <head> section of the HTML code for the site. It is what you see at the top of the browser. 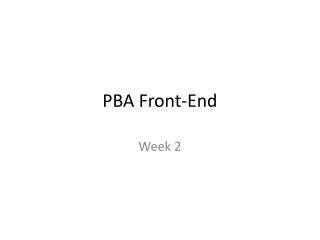 The title should contain 2-3 keywords. 10 – 64 characters in length, Google ignores anything over 100. 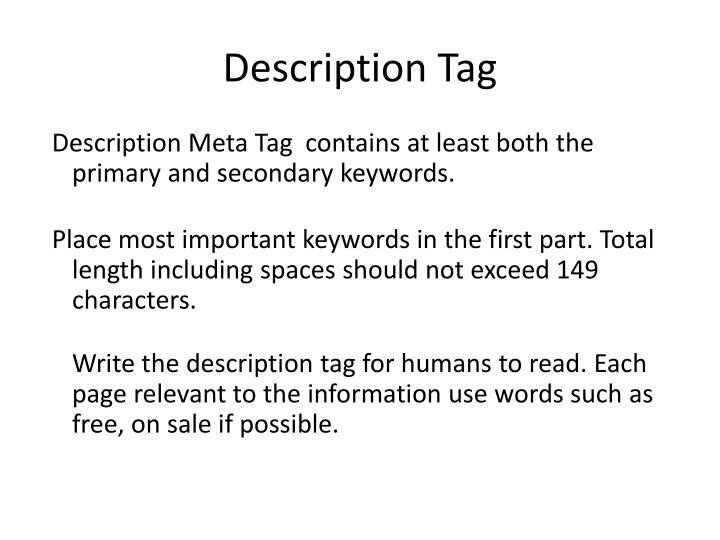 Description Meta Tag contains at least both the primary and secondary keywords. 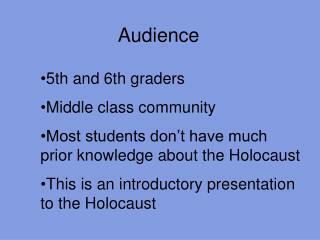 Place most important keywords in the first part. 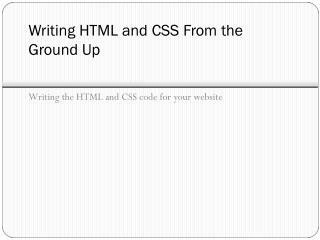 Total length including spaces should not exceed 149 characters. Write the description tag for humans to read. 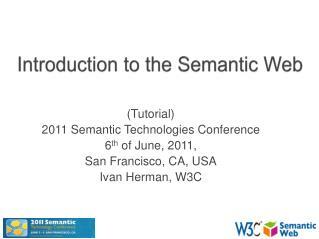 Each page relevant to the information use words such as free, on sale if possible. 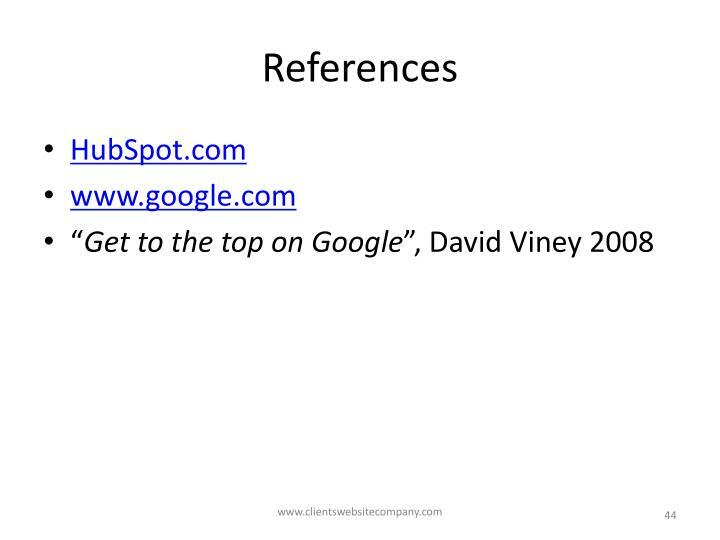 Have a URL –Domain Name that contains at least 1 keyword. 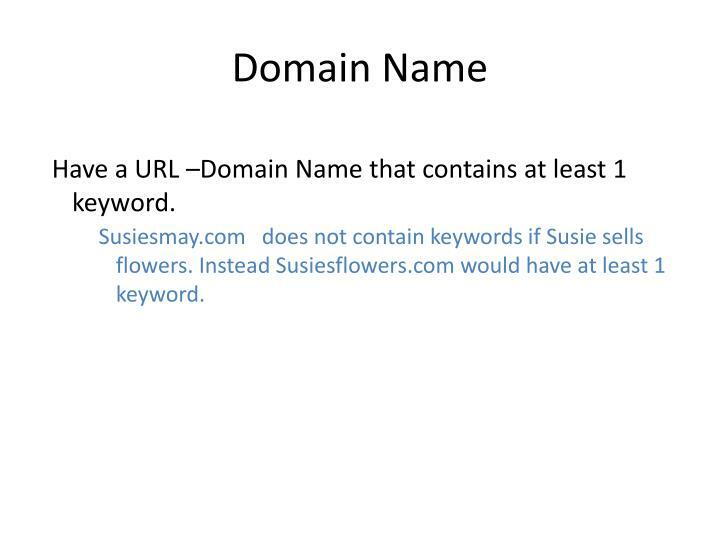 Susiesmay.com does not contain keywords if Susie sells flowers. Instead Susiesflowers.com would have at least 1 keyword. 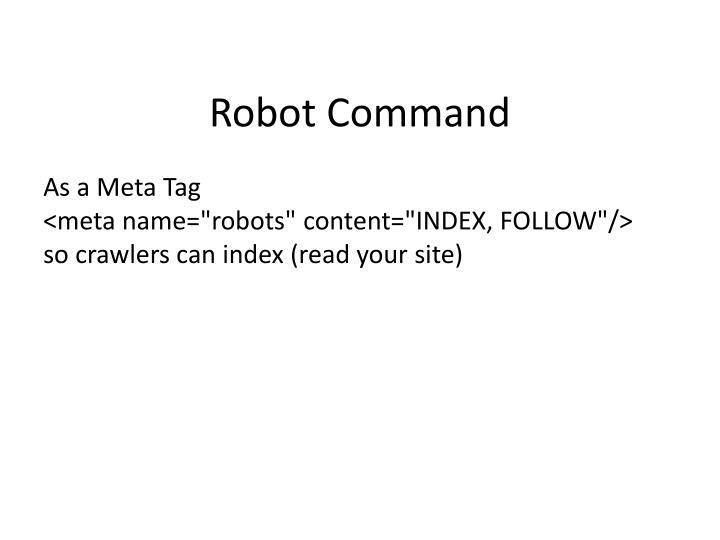 Though not used by many search engines, it is necessary to add an Meta tag for them. 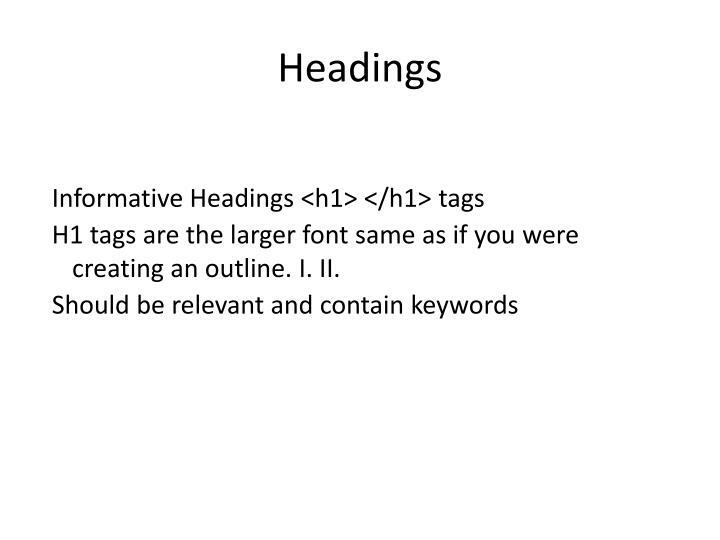 H1 tags are the larger font same as if you were creating an outline. I. II. Alt tags are given to images. They should be descriptive giving meaning to the image. 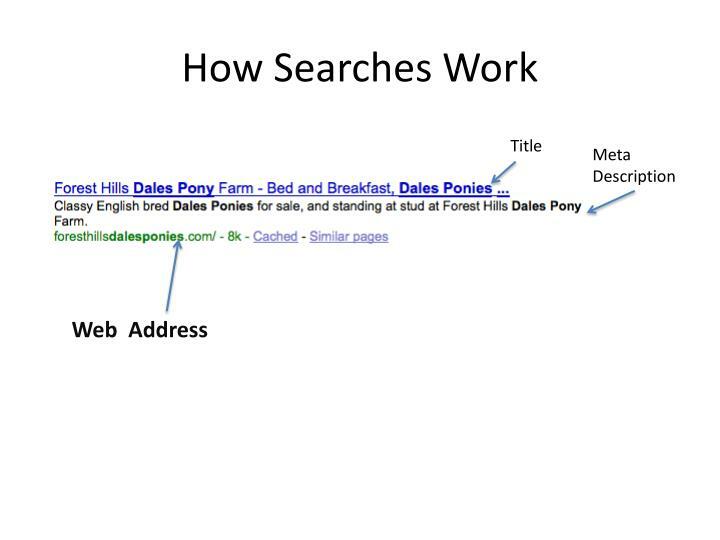 Search engines can not read images. 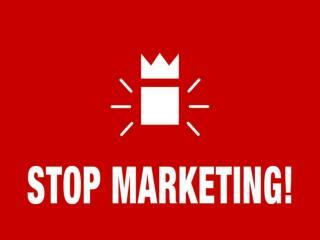 Do not consider this a means to overload with keywords – the result could trigger spam filters. 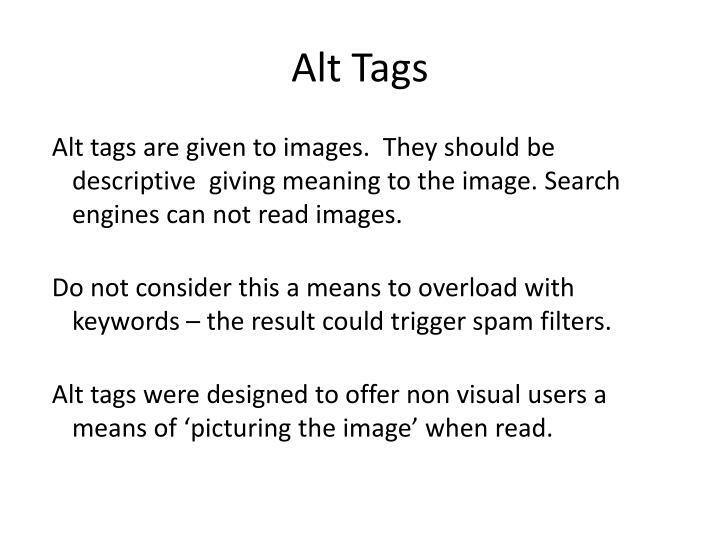 Alt tags were designed to offer non visual users a means of ‘picturing the image’ when read. 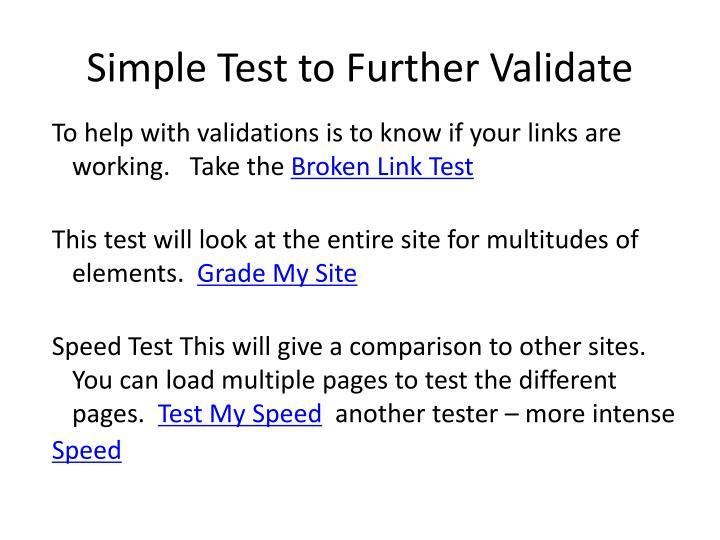 Validates the coding of a site, it does not check for broken links, but invalid code syntaxes. 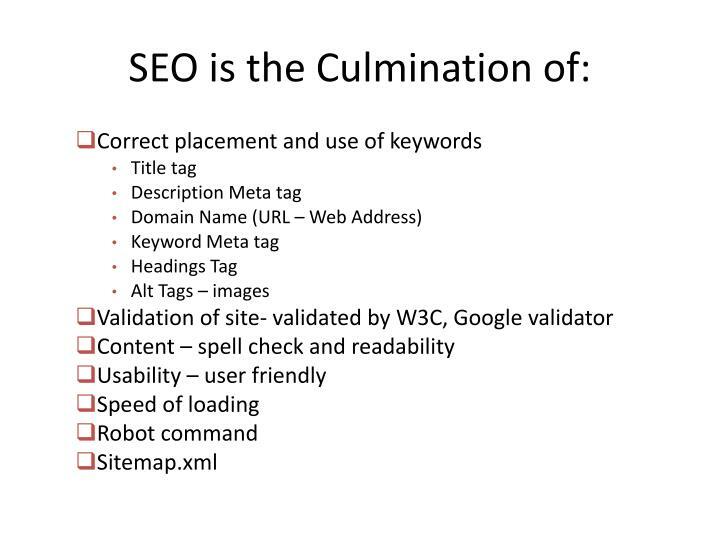 These can cause the bots to slow down or even abort the indexing process. 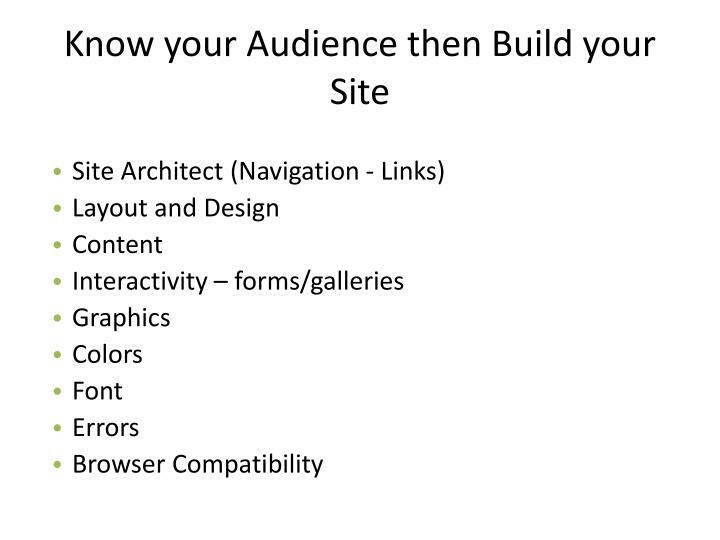 There are two types of site maps – the one that the search engines are looking for, and the one that the users are looking for. 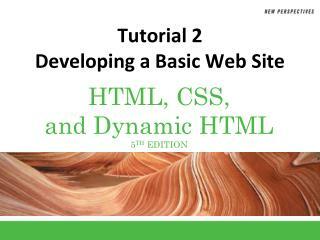 They are uploaded to the server as ‘sitemap.xml format. 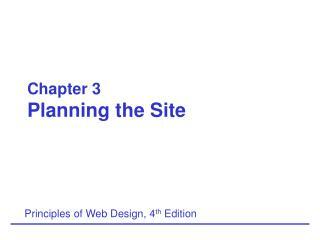 This site map should be submitted to Google through the webmaster tools. Get a google account - you can go to https://www.google.com/webmasters/ to create an account – its free, If you have an account, then go to the webmaster link. Add your site, you can then verify it with Google but after the site is added you can look in the left side and see a link that says site configuration. 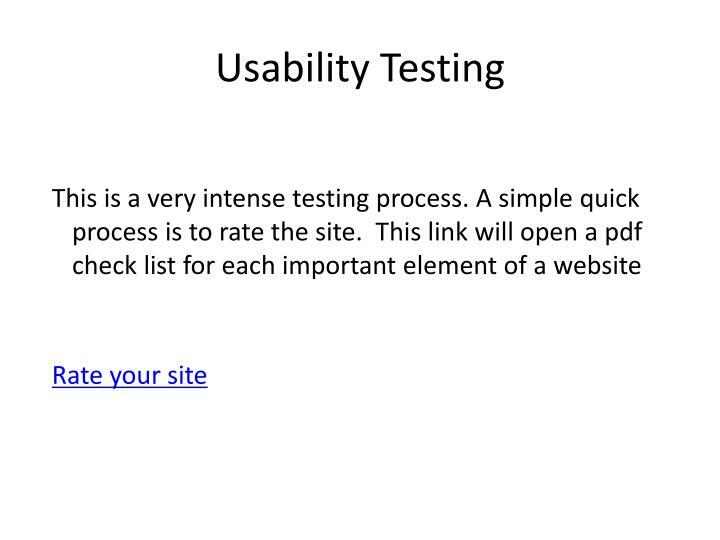 Click on that, then click on sitemaps. 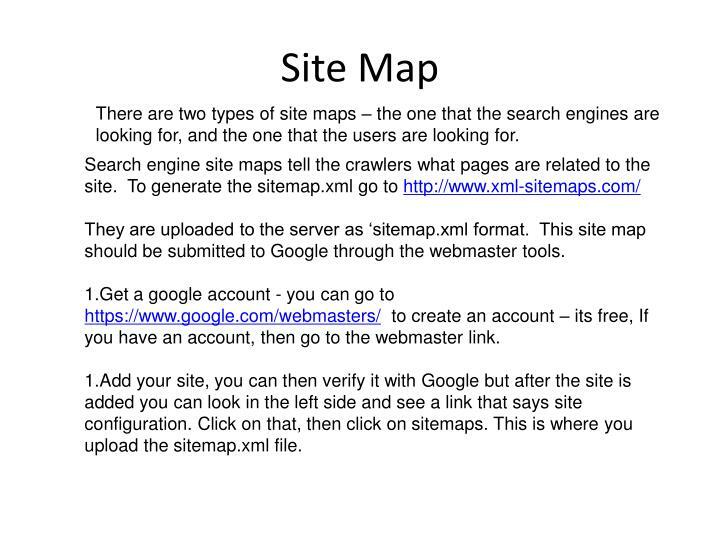 This is where you upload the sitemap.xml file. 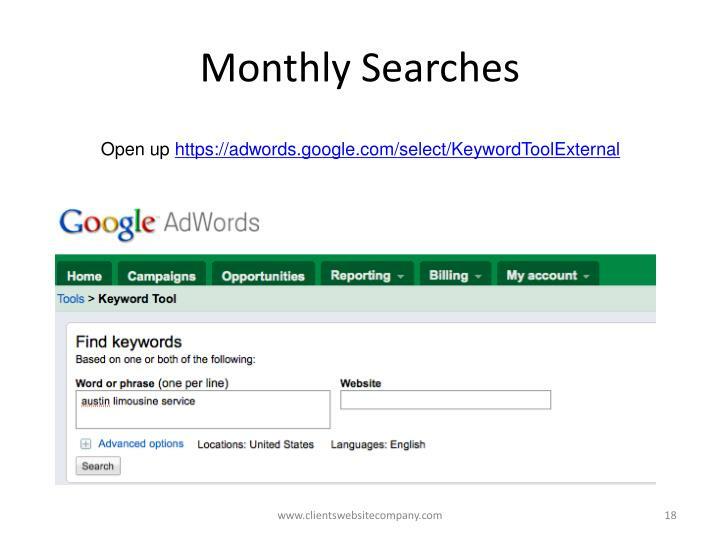 Use Google Adwords (Pay per Click) The ads on search pages. Usually to the right of a search page. 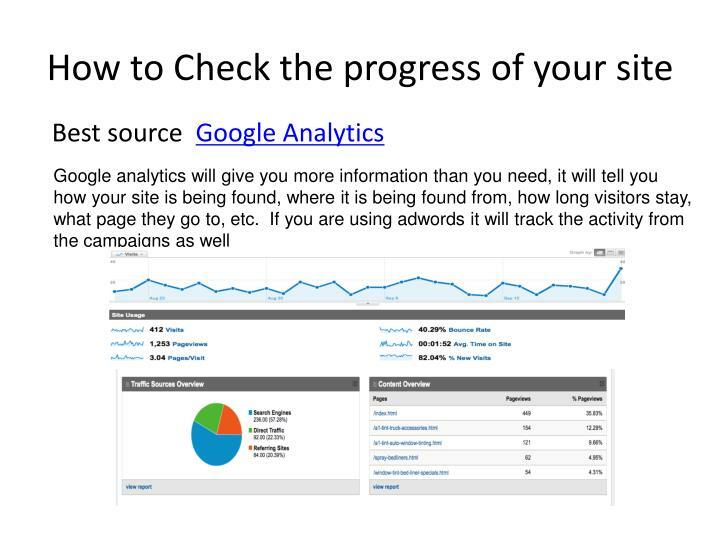 Use Google Adsense( Free) Places Google searches on your site. 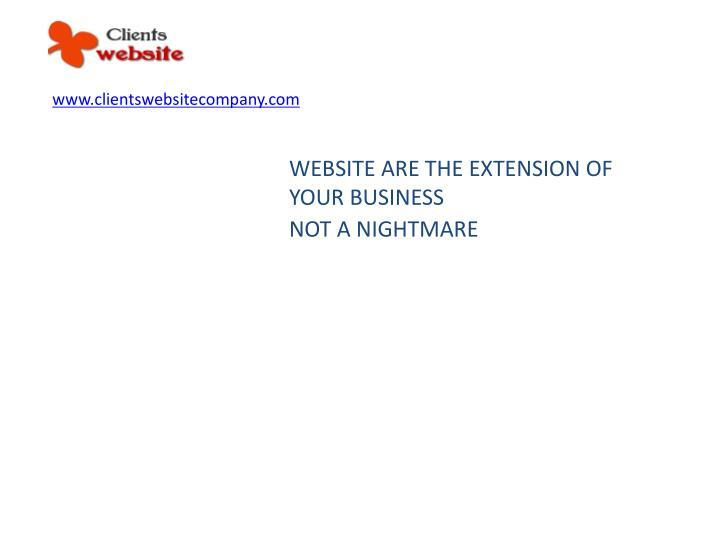 Email – send out emails to potential buyers use freebies to get them to go to your site again. 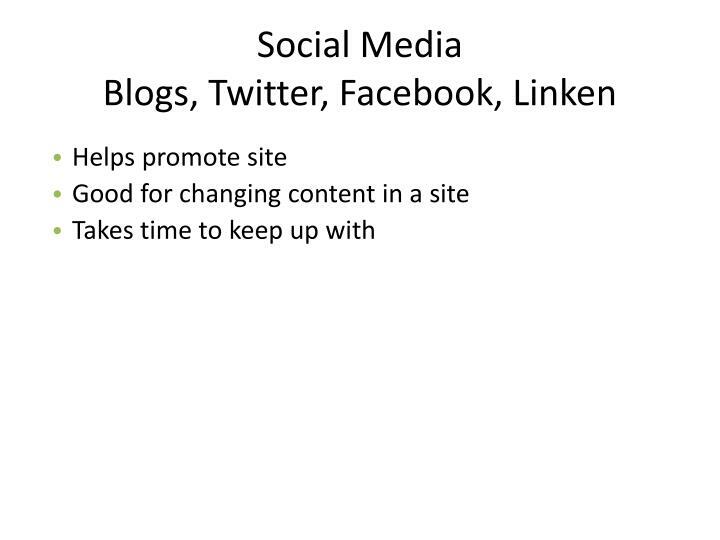 Keep site current – add new content, update links, images, etc. 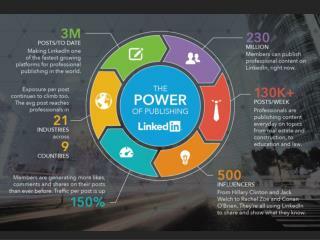 Post in Blogs, Facebook, etc. 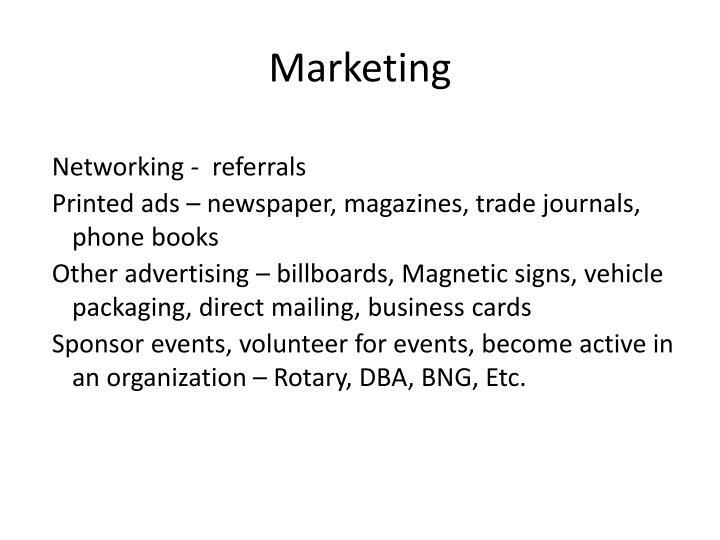 Sponsor events, volunteer for events, become active in an organization – Rotary, DBA, BNG, Etc. 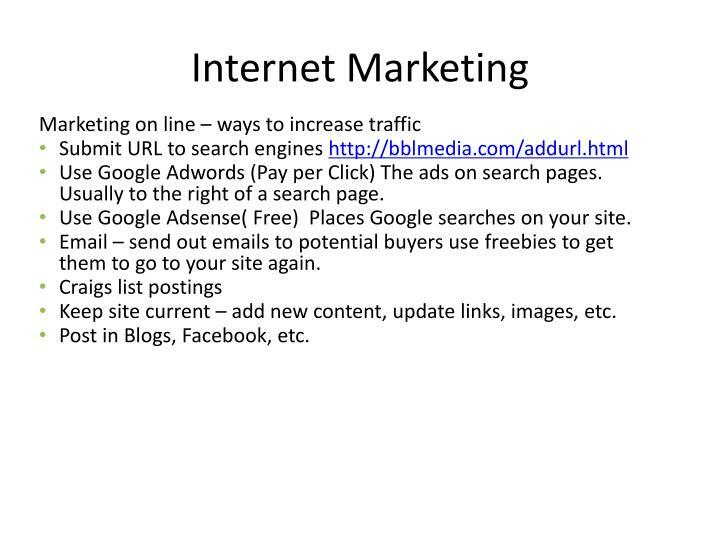 Almost any on line web building program will work to some extent. 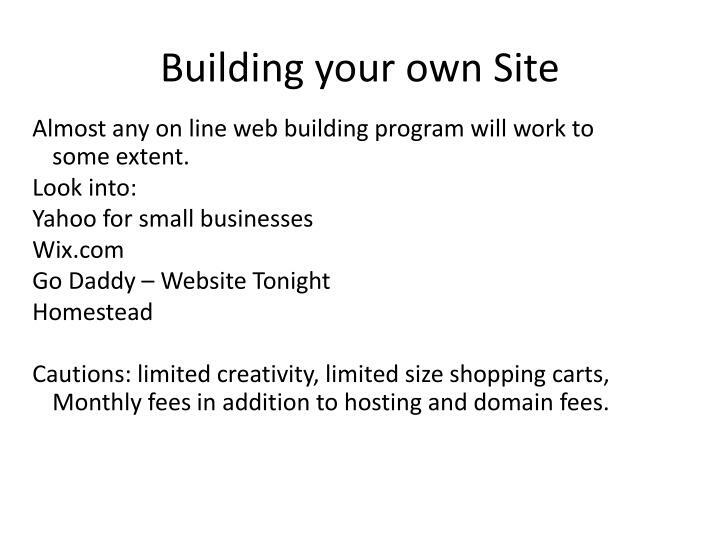 Cautions: limited creativity, limited size shopping carts, Monthly fees in addition to hosting and domain fees. 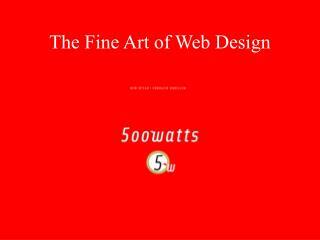 A website needs time to be active. 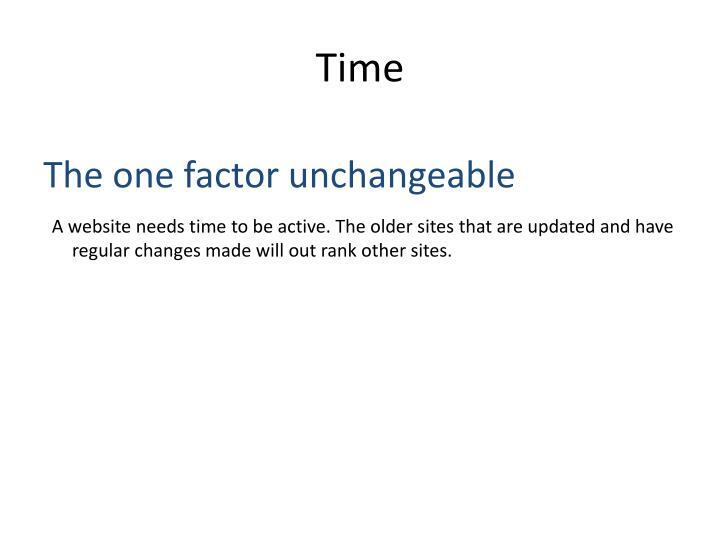 The older sites that are updated and have regular changes made will out rank other sites. 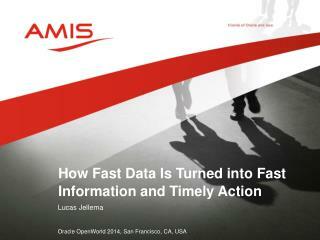 How Fast Data Is Turned into Fast Information and Timely Action -. lucas jellema. oracle openworld 2014, san francisco, ca, usa. audience challenge. audience challenge. audience challenge. audience challenge. audience challenge. 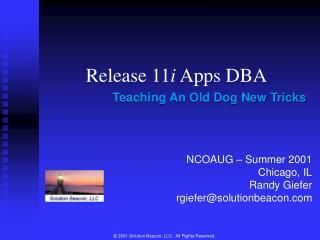 Release 11 i Apps DBA -. teaching an old dog new tricks. 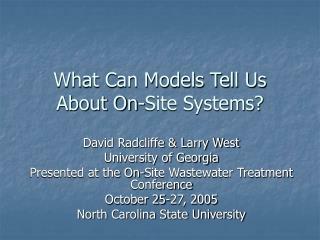 ncoaug – summer 2001 chicago, il randy giefer rgiefer@solutionbeacon.com. welcome !. 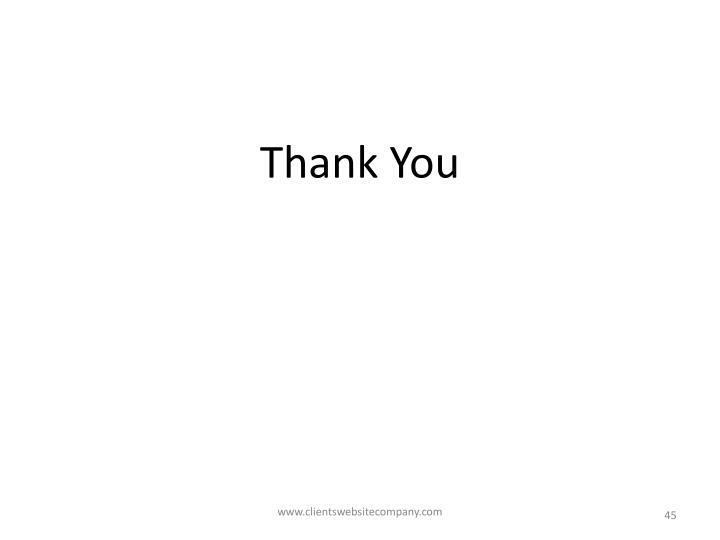 welcome overview (apps dba delta training for 11i) audience survey presenter introduction. 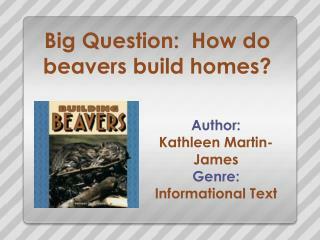 Big Question: How do beavers build homes? -. author: kathleen martin-james genre: informational text. big question: how do beavers build homes?. monday tuesday wednesday thursday friday review. 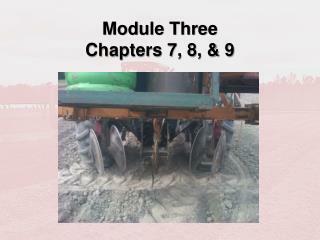 review new words progress monitoring.